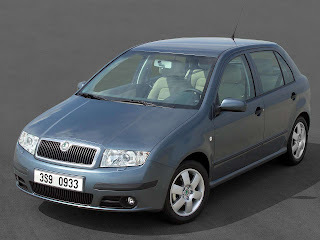 The first generation Fabia (given the internal type code 6Y) was officially presented at the Frankfurt Motor Show in September 1999 and production of this model started in October the same year. The estate version Fabia Combi was introduced in September 2000 at the Paris Motor Show. It was the first model to use the Volkswagen Group's A04 platform, which it shares with the Volkswagen Polo Mk4 and SEAT Ibiza. This car won 2000 What Car? "Car of the Year" in the UK. The range started with the 1.0 8v Classic (which was cheaper than Volkswagen's smaller 3-door 1.0 Lupo when on sale) to the 1.9 PD TDi vRS. Part of the Fabia's success was the fact that all of its mechanical parts were developed by or in conjunction with Volkswagen, but were offered in a package that is priced to undercut other models in the Volkswagen Group. 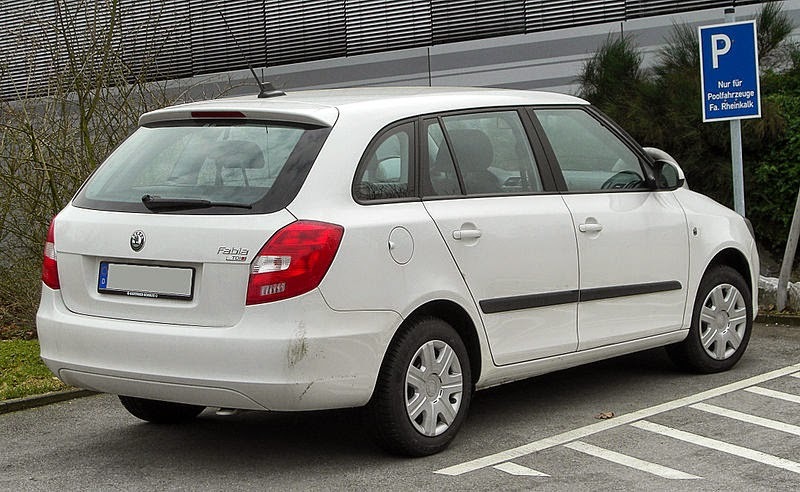 The only traces of non-VW Škoda left in the Fabia are the 1.0 and 1.4 8v "MPI" engines, which were modifications to Škoda's own 1.3 engine, and were used in pre-Volkswagen Škodas such as the Estelle and Favorit. In 2005 the Fabia received a facelift, with changed front fog lights and grille, slightly different rear lights, new steering wheel and revised specification levels. The vRS also had its final gearbox ratio changed. Most importantly, the Sport model was added, with the 75 PS (55 kW) 1.4 petrol being offered with a manual transmission. This engine was quickly dropped for the 1.2 HTP, which while not as powerful, was a much more free revving engine giving a more sporty feel and flexible drive. The Sport also had its specification changed to include red seat belts and sunset privacy glass from the B pillar to the rear. Again in 2006 the Fabia range shown at the Geneva Motor Show had minor specification revisions. These include a center rear head rest, a central three-point seatbelt and an additional four bodywork colours. The 1.4 16v 75 PS (55 kW) petrol engine was replaced with a more powerful 1.4 16v 80 PS (59 kW) engine. The term MPI (Multi-Point Injection) is used by Škoda to differentiate from 16v models and (in the case of the Octavia Mk2) FSI engines. The 75 PS (55 kW) version of the 1.4 16v was only mated to Volkswagen's four-speed automatic transmission with fuzzy logic operation until the addition of earlier Sport models which mated it with a manual transmission. The 1.4 8v was dropped in 2003 as it would fail to meet future emissions requirements. Its performance is heavily hampered by its old OHV (pushrod) design. The Fabia's overall performance and fuel consumption figures fall behind other city cars and small family cars as it is larger and heavier. However, the 1.2 HTP (High Torque Performance) engine was developed specifically for the Fabia and offers better performance and fuel economy, and was later used in Volkswagen's own Polo due to its high acclaim. 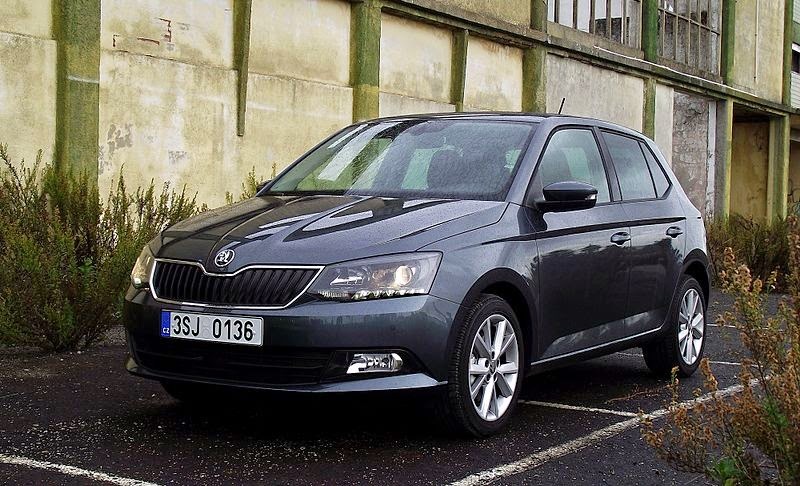 At launch, the Fabia was available in three trim levels: Classic, Comfort, and Elegance. Later in the Fabia's life the mid-range Comfort model was dropped for the name Ambiente to fit in with the rest of the range. Other models available throughout the car's lifespan included Ambiente SE, Blackline, Silverline, Sport, Bohemia (estate only, run-out model) and vRS. Various safety features and minor changes were made over time. Easy and Junior models were sold in Eastern European markets where the buying power is lower. Some of these Fabias do not have painted bumpers, side mirrors or gloveboxes. The Junior didn't have power steering and the steering wheel was 'borrowed' from Octavia I. Because of that, it was slightly bigger, with a diameter of 380 mm instead of the regular 370 mm found on all the other Fabia models. Also sold in such markets is the Fabia Praktik, which is a panel van version of the Fabia with the rear windows and seats removed. A lesser powered version of the 1.4 MPI with just 60 PS (44 kW) is also sold in Eastern Europe. The downfall of this weaker engine was that it struggled to shift the weighty car. Unless on flat surfaces it struggled to achieve higher than 30MPG. Introduced in 2003, the Fabia vRS, while not the first diesel hot hatch, was the first exclusively diesel hot hatch, having no petrol equivalent. The engine is Volkswagen Group's 1.9 litre Pumpe-Düse Turbocharged Direct Injection diesel engine, producing 130 metric horsepower (96 kW) and 310 Nm (230 lbft) at 1900 rpm, with a six-speed manual gearbox. It was named the "Diesel Car of the Year 2003" in the Scottish Car of the Year Awards. It also falls in a low tax band (Band C) in the UK, further increasing its cost benefits over its (chiefly petrol-powered) counterparts. Official figures state 0 to 100 km/h (62 mph) takes 9.6 seconds, but several motoring magazines and websites have measured faster times (around the 7.0-7.5 seconds range) (Autocar: 7.1 seconds, Auto Express: 8.1 seconds, and FastHatchbacks.com: 8.5 seconds). The in gear acceleration times are 50-70 mph in 5.6 seconds, quicker than BMW's 330i which takes 6.0 seconds. 20-40 mph in 2.4 seconds is as quick as the Lotus Elise 111R. Despite this the Fabia vRS can achieve better than 6.2 L/100 km (46 mpg-imp; 38 mpg-US). If driven carefully some drivers have experienced MPG rates of 65-70 mpg over long periods. The Fabia vRS has a top speed of 128 mph (206 km/h). The vRS was shown to be quicker than a similarly priced MINI Cooper around Top Gear's and Fifth Gear's test tracks. In 2007 1,000 Special Edition Fabia vRS models were produced featuring individually numbered black leather seats with blue piping, sporty red brake callipers, "Race Blue" metallic paint, cruise control, darkened rear windows and a six CD autochanger. This model was known as the Fabia vRS SE. The last Mk1 Fabia vRS came off the production line in March 2007 - being UK 2007/07 registered. According to Škoda UK, there were only 22 of these 2007 registered marks (not including the 1000 Special Edition vRS SEs). 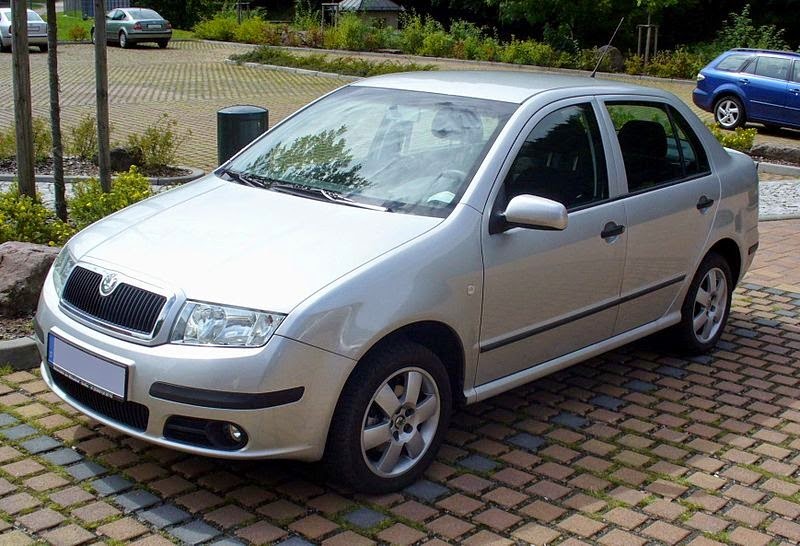 The second generation Fabia (internal type code 5J) was officially presented at the Geneva Auto Show in March 2007 and was sold from April 2007. It still uses the PQ24 platform. The car is however slightly larger than its predecessor and takes styling cues from the Roomster, Škoda's small MPV. The exterior of the two cars, Roomster and Fabia, were designed simultaneously to create synergies by Thomas Ingenlath and Peter Wouda. The estate variant was officially announced in August 2007 and was introduced at the Frankfurt Motor Show in September 2007. Compared with the first generation the new Combi is 7 mm (0.3 in) longer, 46 mm (1.8 in) higher and the boot has grown by 54 litres (to 480 litres total). The engine portfolio is the same as the hatchback version, without the 1.2 44 kW one. The initial petrol engine line-up was a mixture of newer engines from Audi and some carry-overs from the outgoing model. In comparison to the 1st-generation Fabia, both basic 1.2-litre 3-cylinders gained 4 kW each: new power peak was 44 kW (60 PS), and 51 kW (70 PS). There was only a single 1.4-litre 16v petrol on this model, producing 63 kW (86 PS). The range-topping petrol engine was the 1.6-litre 4-cylinder with variable valve timing producing 77 kW (105 PS) . There was also an option to mate this engine with a 6-speed tiptronic transmission sourced from Aisin. The diesel range featured the same 51 kW (70 PS) and 59 kW (80 PS) 1.4-litre Pumpe-Düse 3-cylinders from the predecessor model. The top-of-the-range diesel was a 1.9-litre Pumpe-Düse 4-cylinder producing 77 kW (105 PS). 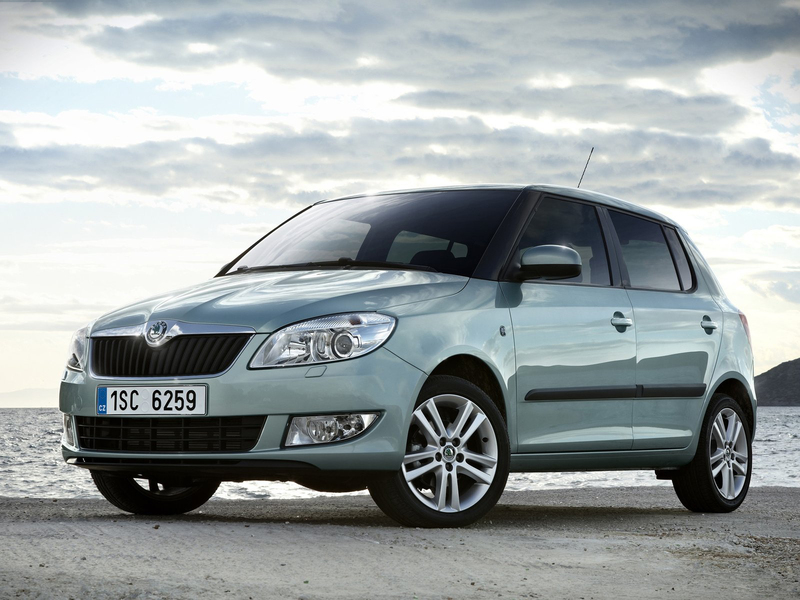 The second generation Fabia trim levels were Classic, Ambiente, Sport and Elegance. In the UK the trim levels were called 1, 2, Sport, 3, and GreenLine (later S, SE, Elegance, and GreenLine). In India, the trim levels were Active, Classic, Ambiente and Elegance. All models sold within the EU were equipped with ABS, front passenger, driver and side airbags. Curtain airbags and ESC were available as an option. Though the sedan body, and the RS version were discontinued (the latter until facelift in 2010), the 2nd-generation Fabia offered variety of new choices. The GreenLine model was the most environmentally-friendly Fabia, with 59 kW 1.4-litre diesel 3-cylinder consuming 4.1 l/100 km, which is 109 g of CO2 per km. At the Frankfurt International Motor Show (IAA) 2007 Škoda presented near-production-state design study of the Fabia Scout: a rugged version of the Fabia Combi. However, it was until May 2009 when this car finally started to roll off the production line in Mladá Boleslav. The new-generation Fabia featured a specific design element: a roof in different colour than the rest of the body was available as an option. For the launch of the new Fabia, Škoda UK commissioned an advertising campaign called Cake, featuring the making of a Fabia car out of cake which swapped rivets for raisins, metal for marzipan and spark plugs for sugar. The soundtrack for the advert was "My Favorite Things", from The Sound of Music. Shanghai Volkswagen Automotive introduced the new Fabia to the public at the 2008 Guangzhou Motor Show. It was launched in China for the 2009 model year. Škoda India launched the latest version of Fabia in 2008. The car was well praised by Indian motor magazines, but it couldn't live up to the hype created by the previous generation Octavia. Fabia has not succeeded in this market due to dealer problems, steep prices and Škoda trying to position itself as a luxury marque. Škoda India has decided to bring in more powerful engines at better prices and taken strict measures to improve dealer quality levels and curb excessive service costs. 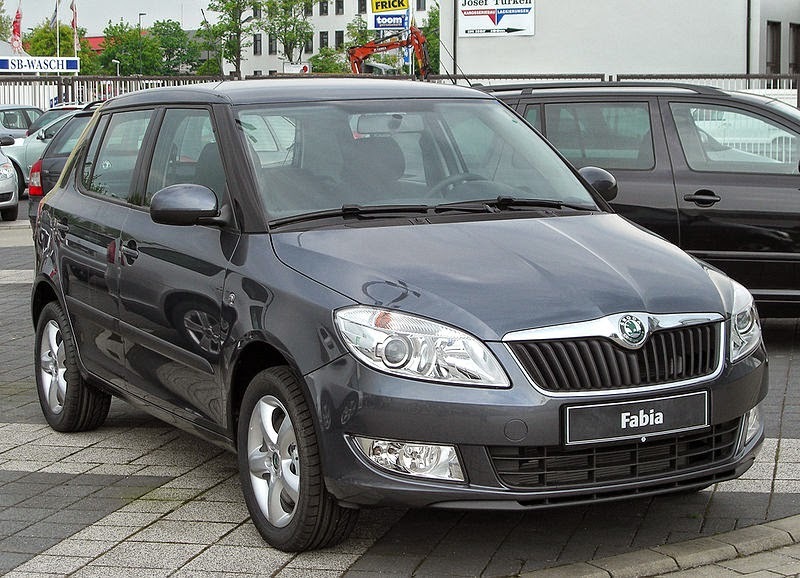 The facelifted Fabia and Fabia Combi were premiered at the 2010 Geneva Motor Show. Updated version can be easily distinguished by different shape of front bumper and front fog lights. Inside, new steering wheels were the tell-tales. Though their shape remained the same, headlights with projector module undergone technical changes: for full beam, a separate reflector is fitted on the inner side of the lamp, while the projector module providing a dimmed beam is on the outer side. The engine line-up was updated along with a facelift, too. 1.2-litre TSI turbocharged petrol engines came as a replacement of the previous 1.4 and 1.6-litre MPI engines, providing significant improvements to fuel consumption and corresponding reductions in CO2 emissions. The Aisin automatic transmission previously used was also replaced with the 7-speed DSG dual-clutch gearbox (optional on 77 kW (105 PS; 103 hp) 1.2 TSI models), providing a reduction of over 30% in CO2 emissions for the 77 kW (105 PS; 103 hp) automatic derivative (compared to the previous 1.6-litre).Diesel engines were updated to the common rail system and four-valve technology. With the facelift a sports RS version returned to the range, now available as both hatchback and estate. This model features the same 1.4-litre twin-charged petrol engine as the Volkswagen Polo Mk5 GTI, producing 132 kW (180 PS) and is mated with a 7-speed DSG dual-clutch transmission as standard. With top speed 226 km/h (Fabia Combi RS), this is the fastest production Fabia ever. The RS had its own version of the cake advertisement – ‚Mean Green‘, with a darker rock version of "My Favorite Things". The GreenLine model received new technology, as well. Manufacturer's combined consumption for the Fabia GreenLine with brand-new 55 kW 1.2-litre 3-cylinder diesel engine is 3.4 l/100 km, which is 88 g CO2 per km. Gerhard Plattner, Austrian economy driver, managed to reach 2,006 km on a single tank of fuel, that is 2.21 l/100 km (127.8 mpg imp / 106.4 mpg US). New to the lot was Monte Carlo version for both Fabia and Fabia Combi, utilising design features if the Škoda Fabia Sports Design Concept presented at 2009 Geneva Motor Show. At the 30th Wörthersee GTI Treffen, Škoda revealed Fabia RS 2000 design study based on Super 2000 rally car. 4 May 2012 Škoda produced 3-millionth Fabia. The number included 1,788,063 1st-generation cars, and another 1,211,937 2nd-generation Fabias. The initial petrol engine lineup was a mixture of newer engines from Audi and some carry overs from the outgoing model. The base 1.2 remains the same (44 kW) while the higher powered version has its power output upped to 70 PS (51 kW). There was only a single 1.4 litre 16v petrol on this model, producing 85 PS (63 kW). The range topping petrol engine was the 1.6 16v engine producing 105 PS (77 kW) . There was also an option to link this engine to a six speed tiptronic transmission sourced from Aisin. Diesel engines consisted of the same 70 PS (51 kW) and 80 PS (59 kW) 1.4 TDI units from before. The range topping diesel was a 1.9 TDI producing 105 PS (77 kW). The top-of-the-line vRS model features the same 1.4 litre engine as the Volkswagen Polo Mk5 GTI, producing 180 PS (132 kW) and is fitted with a seven-speed DSG semi automatic transmission as standard. The vRS had its own version of the cake advertisement, with a darker rock version of "My Favorite Things". Overview of engines available for the 2nd-generation Fabia (A05, Type 5J), incl. facelifted model. The Škoda Roomster is a multi-purpose vehicle, also available as a panel van, that is based on the same platform and that also features the same front end design. In 2011, the Škoda Rapid was launched in India, a four-door sedan car featuring the same front end design as the second generation Fabia, but based instead on the newer PQ25 platform. It is related with the 2010 Volkswagen Vento, also developed in India, which is essentially a three-box version of the Volkswagen Polo Mk5. It is produced by Škoda India exclusively for the Indian market. It also has a slightly different interior. The Motorsport division of Škoda AUTO builds Škoda Fabia Super 2000 rally car. Since its debut in 2009, the Fabia Super 2000 won 14 international titles and 22 national championships. The third generation Fabia was introduced at the Paris Motor Show in October 2014, with sales starting in the following month. An estate version has been available since January 2015. Due to the lack of demand for the Mk2 vRS models, a hot hatch variant is not planned for production. The Mk3 Fabia also won the "Overall winner" and "Best small car" categories of the 2015 What Car? Car of the Year awards. The Mk3 Fabia underwent a major technical revision, being based on a mixture of the PQ26 platform, on which the facelifted Mk5 Volkswagen Polo is based, and the MQB platform, which is currently utilised by seven Volkswagen Group models. The chassis has been modified to "revert back to the Fabia’s original, first-generation design" by becoming 90 mm wider and 30 mm lower, resulting in more interior and boot space. Despite being 8 mm shorter, the Mk3 Fabia still offers more passenger room due to its extended wheelbase. Simultaneously, its weight has been reduced by 65 kg (143 lb). A similar approach was applied to the styling, according to Škoda designer Marko Jevtic: "It [the Mk3 model] has the qualities of the first Fabia, [...] We wanted its simplicity; we did not want to overload the design." The powertrain selection for the Mk3 Fabia was borrowed from the current Mk5 Polo, although the missing 1,2 litre 55 kW TDI engine will be included in the fuel economy-oriented Greenline model that will be released in late 2015. The 1,2 litre inline-three petrol engines from the Mk2 model were replaced by smaller but more efficient 1,0 litre engines. Last updated on 9 February 2015 at 11:42.